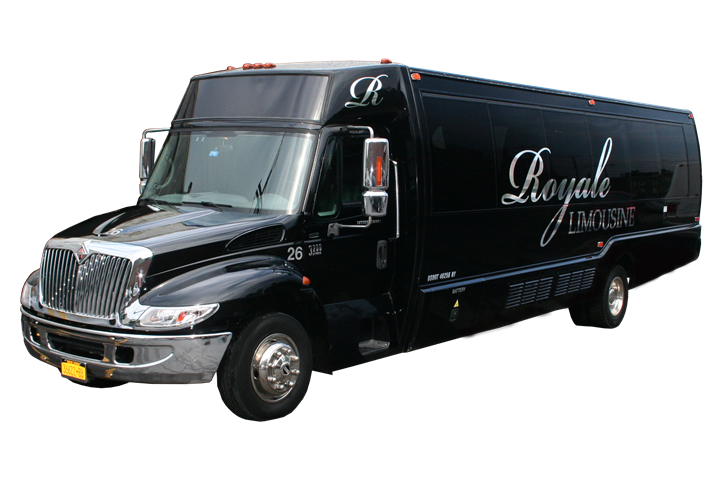 I am so happy I chose to use Royale Transportation for my night out with the girls. They had a great special for a 6 hour package that saved me a ton of money. It was a night I wont forget. The limo was clean inside and out. It had a hook up for our phones so we got to jam out to our own song choices. The driver was so patient with all us drunk girls, especially having to listen to us all sing after a few too many. He took great care of us and it was such a relief having safe transportation home. Can't wait to book my next night out. THANKS ADVANTAGE! Had a real great time. The bus driver couldn't have been any nicer. Took care of all of us. Made our trip to Hawaii out of Newark airport a breeze. Our driver was professional and prompt. The Sprinter was clean and comfortable. Very pleased with everything. Whenever I use a limo, this is my company!! Their customer service is the best in the area, always making sure to take of me and my party. Once you sue them, you'll never go anywhere else!